Welcome to Day #8 of Chocolate and Flowers Theme Week. What chocolate will be in your Easter basket this Sunday? How about today's Organic Lavender Blueberry or Picante Chocolate Cacao Gems, from Dagoba Organic Chocolate* (Ashland, OR)? Today's three-flavor variety pack included Picante Chocolate, Lavender Blueberry, and Ginger Lime chocolates. We're featuring the first two of these three individually-wrapped chocolates. 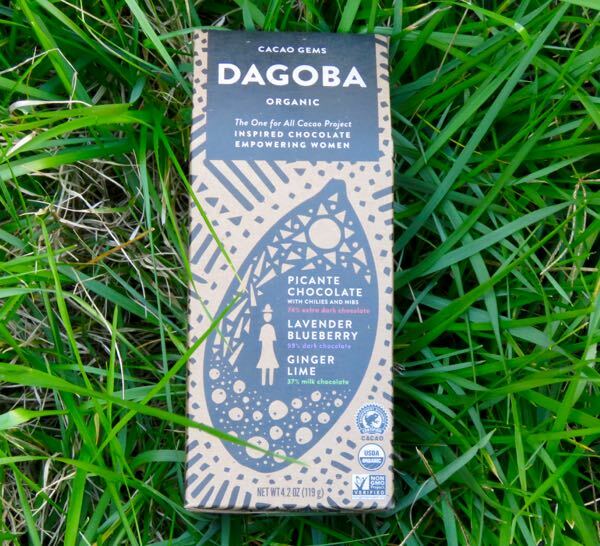 Made with Rainforest Alliance Certified Cacao, these chocolates were linked with "The One for All Cacao Project: Inspired Chocolate Empowering Women." 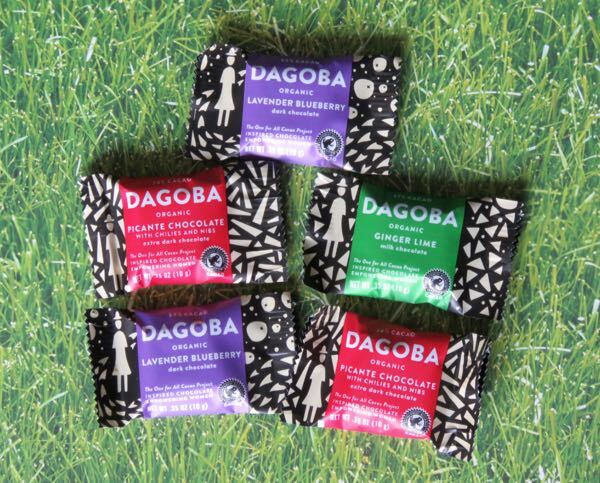 Dagoba established this project in 2016; and the goal of this program is to "strengthen cacao communities by advancing the role of women in cacao production worldwide," a laudable goal. 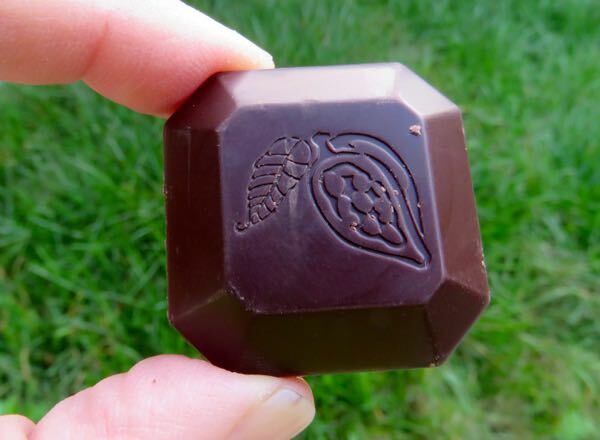 The Organic Picante Chocolate cacao gem may have been "74% extra dark," but the facet-cut dark chocolate (adorned with an image of a cacao pod) tasted very sweet. The smooth, dark chocolate had a slight, soft crunch from a cacao nib or two, and hot chili kick that you could feel as you swallowed a bite, but it wasn't overwhelming. 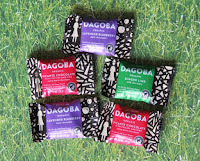 *Dagoba Organic Chocolate is a division of the Artisans Confection Company—which is owned by The Hershey Company.